Support for glaucoma, cataracts and weak vision. 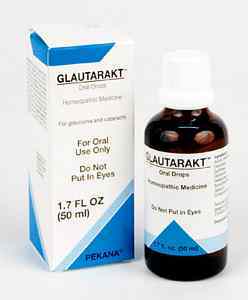 GLAUTARAKT drops provide adjunctive help for glaucoma, disturbed circulation to the eye, inflammation of the iris and cornea, sclerotic vessels and weak vision. This remedy may be used long-term. If the underlying problems causing the glaucoma or cataracts is resolved, the remedy can be discontinued. Dulcamara 3X supports eye infections with yellow discharge and granular lids, an expression of a hypersensitivity reaction. It also is indicated for optic nerve disturbances, and promotes proper systemic regulation in the body. Euphrasia officinalis 2X supports lymphatic conditions and stimulates excretion processes. It also helps resolve gastritic and hepatic disturbances, prostate conditions and inflammatory rheumatic sensations, such as conjunctivitis, blepharitis and rheumatic iritis pains in the eyes, where reading is impaired by cataracts. Glonoinum 6X addresses glaucoma and retinal bleeding by treating circulatory disruptions. 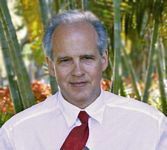 It is also indicated for support of threatening apoplexy caused by hypertonia that the body attempts to correct by expanding the blood vessels. Tabacum 6X benefits cramps that affect the blood vessel nerves of the spinal cord. It also helps resolve cloudy vision, which left untreated can possibly lead to blindness due to a venous hyperemia.